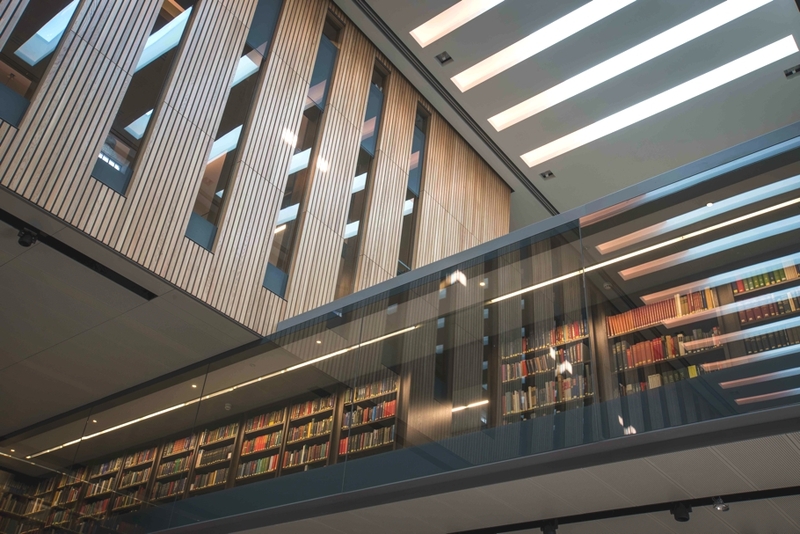 Oxford University’s Weston Library, home to some of Britain’s most valuable literary treasures, reopened this month following an £80m renovation. Part of the University’s world famous Bodleian Library, the Grade Il listed building (formerly the New Bodleian) was originally designed by Sir Giles Gilbert Scott in the 1930s. Situated opposite Nicholas Hawksmoor’s iconic Clarendon Building and Christopher Wren’s exquisite Grade I listed Sheldonian Theatre, its renovation is at the heart of an ambitious period of renewal of the Bodleian’s facilities aimed at safeguarding its vast and unique collection of books and manuscripts. 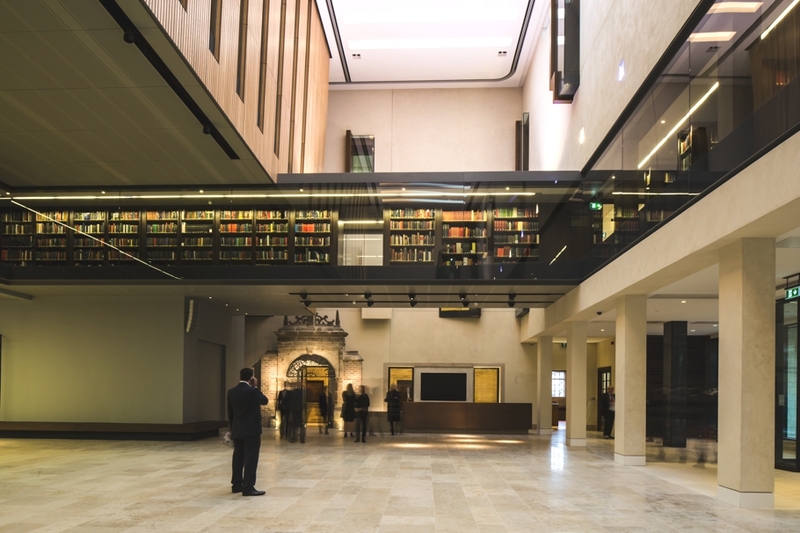 The much-anticipated project has created high-quality storage for the Libraries’ valuable special collections, which have been preserved for scholarship; developed the Libraries’ space for the support of advanced research; and has expanded public access to its great treasures via its new exhibition galleries and a lecture theatre. 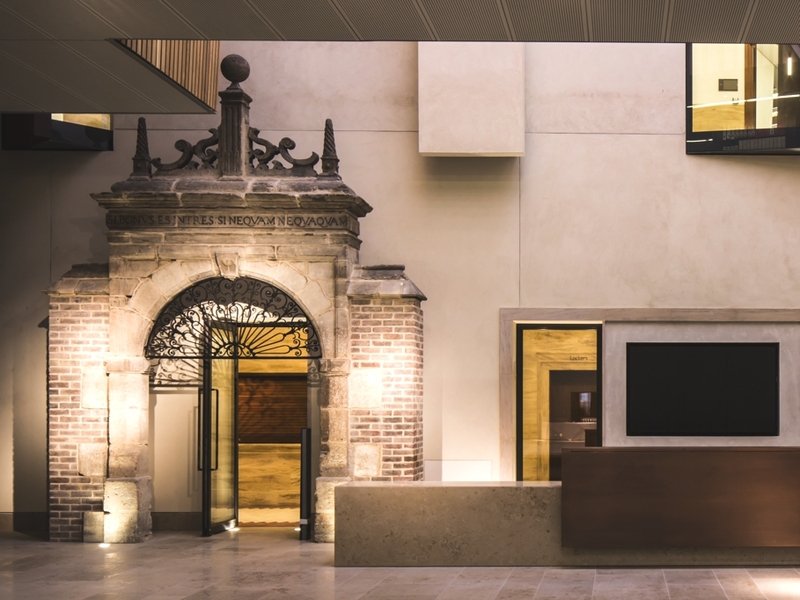 By opening up the building to promote its special collections to the wider public, Wilkinson Eyre has also addressed the building’s identity and related it more closely to its immediate context by improving its perception and approach. Once described as a ‘dinner jacket made of Harris Tweed’, the Weston Library is now successfully connected to the core Bodleian buildings. The new Blackwell Hall, supported by a £5m donation from Julian Blackwell, is a publicly accessible, top-lit 13.5 metre high space which forms the heart of the new library and features a café, information desk, a 16th-century tapestry map (the Sheldon Tapestry) and a 15th-century gateway on permanent loan from the V&A Museum. Blackwell Hall opens up to two new exhibition spaces and a café, creating an enticing proposition and welcoming experience for the general public, being directly accessible through the new public entrance on Broad Street. 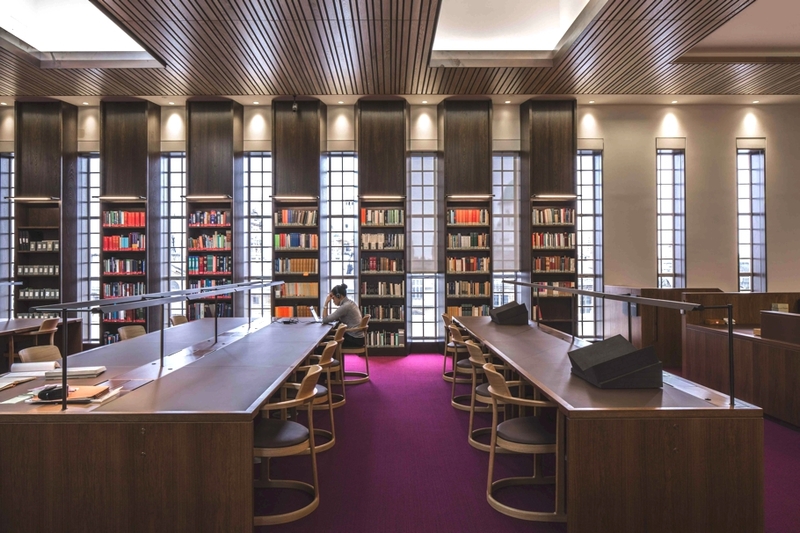 The highest storeys of Scott’s original building, hidden during the 1960s by an extension, have been re-instated and restored to include a new reading room boasting the best views of the city’s iconic spires. The slit windows arranged in rows, through which the spires are visible, are a signature Scott feature and a key expression of the building’s 1930s character. Particular care has been taken to restore and match Scott’s high-quality craftsmanship and original materials palette. From stone to metal to plaster, as well as joinery and furniture, Wilkinson Eyre’s attention to proportion, materiality and light in the new spaces gives rise to a quiet, scholarly gravitas emanating from this previously unloved building. 140 tonnes of salvaged stone was re-used in the new façades and external stonework — including two angels holding the University of Oxford coat of arms, and the bust of Bodleian Libraries’ founder Sir Thomas Bodley above the King George VI door — has been expertly cleaned and repaired. The ‘tour de force’ of original joinery is the main reading room, including a decorative, inlaid timber ceiling, which mimics Native American and African designs in a stylised Art Deco manner, and has been cleaned and restored to its original splendour. New bespoke additions such as shelving and tables have been designed and specified sympathetically. 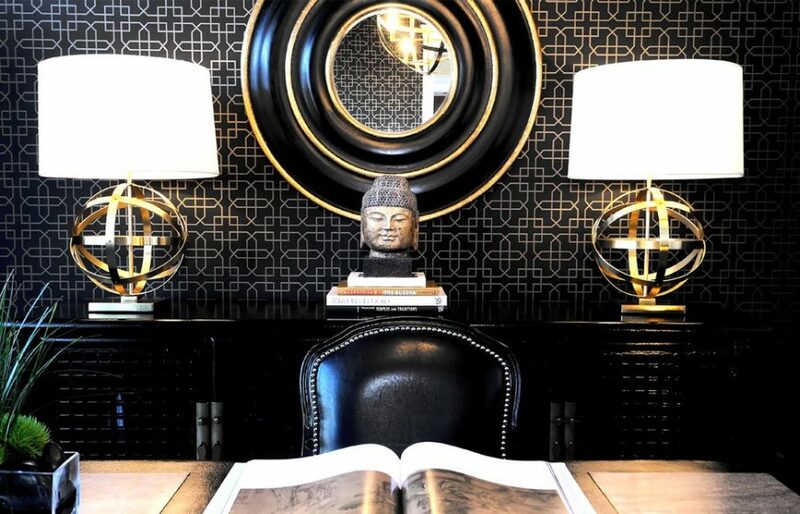 Setting a new precedent for contemporary living, this offering is one of the finest estates available right now. The luxury property can be found in the exclusive Bel Air neighbourhod, Los Angeles, USA.